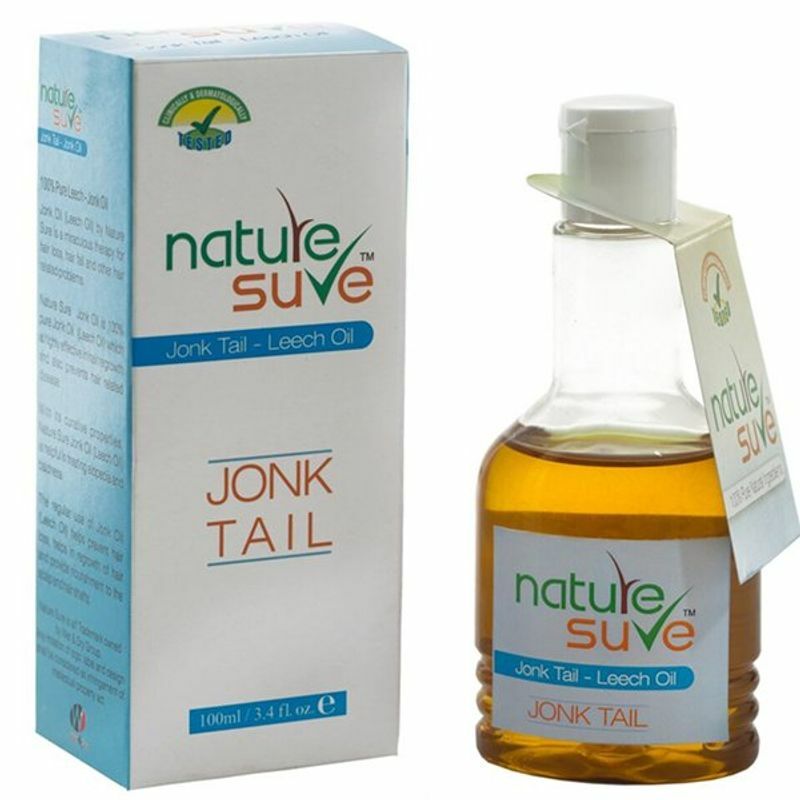 Nature Sure Jonk Oil - Pure Leech Oil is a miraculous therapy for hair loss, hair fall and other hair related problems. Nature Sure Jonk Oil is 100% pure Jonk Oil (Leech Oil) which is highly effective in hair regrowth and also prevents hair related disease. With its curative properties, it is helpful in treating alopecia and baldness. The regular use of this oil helps prevent the hair loss, helps in regrowth of hair and provide nourishment to the scalp and hair shafts. It is widely used for its efficacy in treating alopecia and baldness. The constituents of Jonk Tail increases blood circulation in the bald areas. It enhances the concentration and delivery of nutrients that makes hair follicle strong and promotes hair growth. With its antibacterial properties, it combats fungal infections and hence is an effective treatment for dandruff; fungal infections.